Whenever we make one of trips north to the "big city," we love to eat at restaurants we don't have in our neck of the woods. . . Places like P.F. Chang’s, where you can get amazing Chinese food. While I love to cook things at home, there's just something special about going out to eat with your sweetheart during the holidays. P.F. Chang's is the perfect spot for a date night. And what do I love best about those special date night meals? Getting amazing desserts that I can't recreate at home. Doesn't that look so amazing? 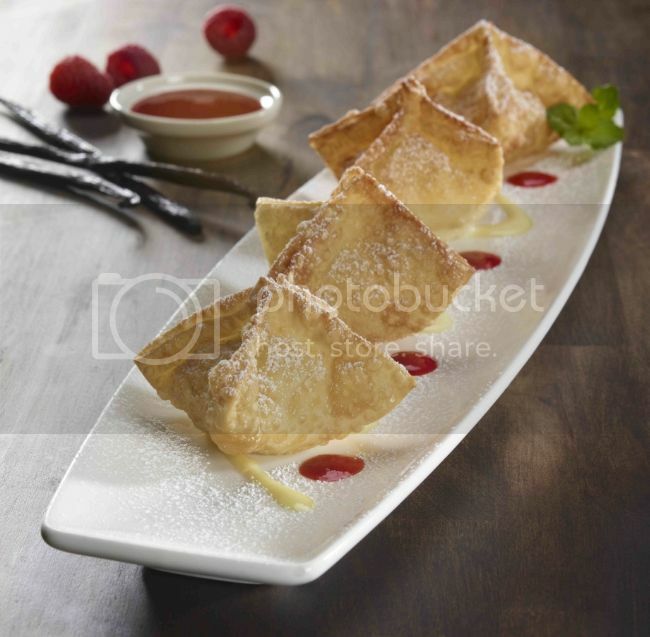 Sweet Vanilla Cheese dessert wontons. I'm swooning already. 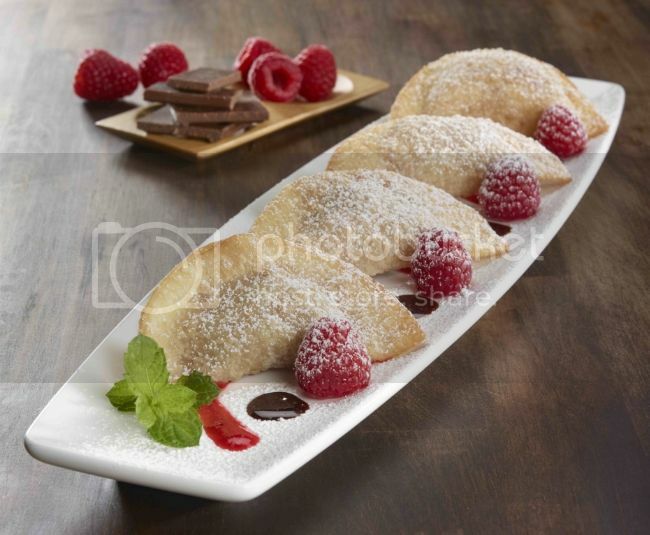 And these Chocolate Raspberry dessert wontons are equally drool worthy. I'm having a really hard time deciding which one to try. I may make it easy on myself and just order both! I know D will be ordering the Vanilla Bean Milkshake. He goes for the milkshakes every time we go out. He's a bit predictable that way...always ordering the same thing. I like to try new things each time, which probably explains why I've eaten so many exotic foods. Are you totally excited to hit P.F. Chang's this holiday season? Which new menu item are you most excited to try? Help me out with my massive indecision! Meanwhile, if you want to keep up with all the new offerings Follow @pfchangs on twitter and check out the gorgeous foods and Follow P.F. Chang’s on Pinterest!